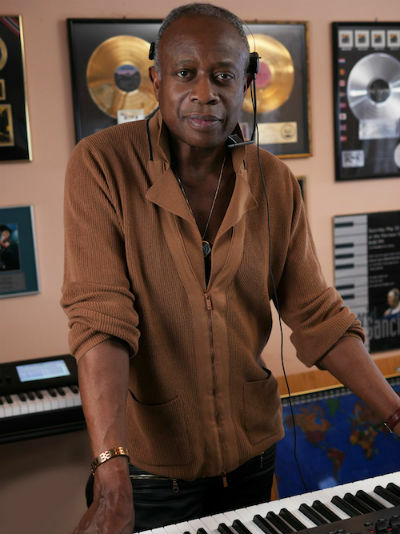 Hall of Fame musician David Sancious, Keyboardist, Guitarist and Composer is pleased to announce that he is now offering an Internet audio service "SANCIOUS AUDIO" to musicians and producers world wide. David has worked with Bruce Springsteen & The E Street Band, Sting, Peter Gabriel, Eric Clapton, Seal, Aretha Franklin, Santana, Erikah Badu, Jeff Beck and many more. The versatility of David's career has made him one of the few musicians to play on stage and in the studio with some of the world's most talented and respected artists. Having worked successfully with producers and musicians from throughout the United States, David is now opening up his audio services. Musicians can send their audio files (Logic / Protools) via Internet or post and specify their project needs, whether it is keyboards, guitars, vocals, or arrangements. The files will then be recorded and integrated into their project and returned with the performance of choice. Rates are tailored to the size of the project. Please contact Lesley Diana for direct contact information with David to discuss your project needs. David is also available for recording sessions, tours and producing.